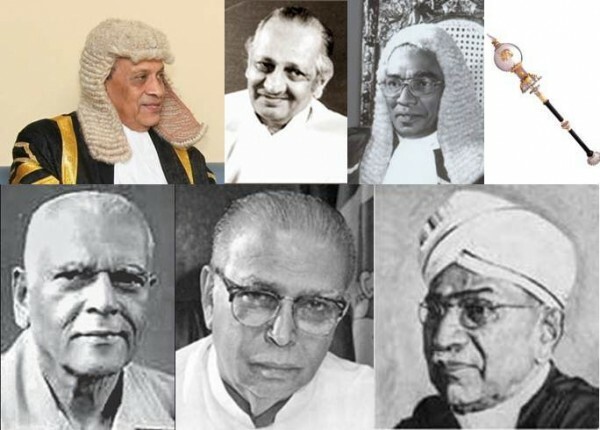 From Sir Francis Molamure to Karu Jayasuriya: Long Line Of Speakers who Served in the Legislatures of Sri Lanka/Ceylon. Karunarathne Jayasuriya popularly known as Karu Jayasuriya was elected unopposed on September 1st 2015 as the speaker of the Sri Lankan Parliament.His name was proposed by Prime Minister Ranil Wickremesinghe and seconded by Nimal Siripala de Silva who functioned as leader of the opposition in the last days of the last Parliament. As is traditional the speaker elect was escorted to his seat by the proposer Wickremesinghe and seconder Siripala de Silva. Whatever the differences and divisions among the current crop of Parliamentarians, their unanimous choice of Karu as “Mr. Speaker” indicated the level of respect and regard with which Mr.Jayasuriya is held by MP’s on either side of the political divide. 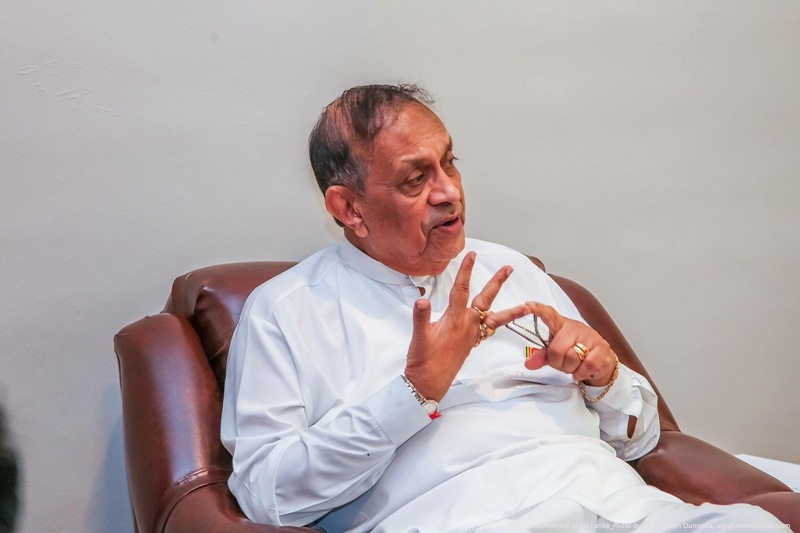 Karu Jayasuriya had his baptism of fire in electoral politics eighteen years ago when he contested the Colombo municipal polls.He had been elected unanimously as the United National Party (UNP) chairman two years before that. Jayasuriya as the UNP mayoral candidate captured the imagination of the Colombo ratepayers by a very powerful poster which punned on his first name”Karu”. (This was the first and last occasion that he engaged in poster propaganda).The posters in Sinhala said “Awoth Karu –Payai Hiru’ ( If Karu comes, the sun will shine).The rejoinder to it by his opponents was also in the same vein – “Awoth Karu – Penney Tharu” (If Karu comes You will see stars! ) Karu then came up with another poster which said ” Supirisudu Palanayak Sandaha Karu’ ( Karu for super clean administration). His opponents responded with another – “Karuge Watey Horu” (there are thieves around Karu). Karu Jayasuriya won handsomely and assumed office as the 23rd Mayor of Colombo on April 15, 1997 polling around 250,000 votes. Much water has flown under the Kelani bridge since then. Karu Jayasuriya has had an eventful political life in the past years with many positive and negative experiences.Amidst all this political turbulence the many splendoured facets of his personality remain unchanged.None of his detractors have ever been able to cast aspersions on his patriotism,integrity, sincerity , simplicity and efficiency. Above all his virtues what stands out is Karu’s basic humanity and civility in inter-personal relations.Since he will be celebrating his 75th birthday before this month is over, one feels the elder statesman of the UNP would not seek further electoral office after his current Parliamentary term. It is against this backdrop therefore that Karu Jayasuriya has become speaker.Karu faces a formidable challenge in the current context. A four-fold task lies ahead of him. Firstly Karu has to streamline the way in which Parliament has been functioning and curb the excesses of members and officials. Secondly he has to hold the scales evenly among members in a deeply divided Parliament. Thirdly and most importantly he must ensure the independence of Parliament and the dignity of the Speaker as an Institution. In this he would have to preserve and protect the rights and privileges of the legislature in its interaction with the Executive or Judiciary.Fourthly he will have to preside over Parliament when it converts itself into a Constituent Assembly in order to draft a new Constitution as envisaged. Karu Jayasuriya is the latest in a long line of illustrious Speakers who have served the legislatures, people and country for nearly a century.Sri Lanka or Ceylon as it was known earlier has had Speakers from the time we got universal franchise and territorial representation in 1931 under British rule. The Donoughmore commission ushered in the right to vote for all men and women over the age of 21.It abolished the system of communal representation in favour of territorial representation and introduced electorates. Fifty electorates were demarcated and elections were held in 1931 for the legislature known then as the State Council.Another eight seats were set up for Europeans in the Council. The party system had not taken root then and candidates contested as individuals. Following British tradition elections the office of Speaker was set up to preside over sessions of the State Council. The first Speaker of the State Council in colonial Ceylon was Sir Alexander Francis Molamure. He was the first speaker of independent Ceylon too. Elections were held for the post of first speaker of the State Council on July 31st 1931. Incidently four seats from the Northern Province were vacant at that time due to the boycott of elections in Jaffna.The Ceylonese AF Molamure defeated the European Sir Stewart Schneider by 35 votes to 18. Later AF Molamure was conferred the Knighhood by King George. Sir Francis Molamure was a dashing personality who was first elected uncontested to Dedigama constituency in 1931. It is said that he captivated many a damsel’s and dame’s heart through his delightfully witty conversation. Sir Francis Molamure was reported to have inquired once from the British Governors’wife thus; “May I light my cigarette with the light in the eye of my Lady?”. The Governor His Excellency Sir Reginald Stubbs was not amused and banned Molamure from all Governor’s functions thereafter. This incident and certain other personal matters created a situation where Sir Francis Molamure opted to quit. He absented himself from State Council proceedings for three months and then resigned as Speaker on personal grounds. Sir AF Molamure did not contest Dedigama in 1936. Dusley Senanayake contested and won in Dedigama at the 1936 State council elections. Sir Francis Molamure re-entered the State Council in 1943 through the by election at Balangoda where he defeated Sirima Bandaranaike’s father Barnes Ratwatte Dissawe by a majority of over 17,000 votes. Sir Francis Molamure was succeeded as Speaker in Dec 1934 by Forrester A Obeysekera who was then the deputy speaker. He served as Speaker from December 1934 to December 1935.The State council member for Avissawela was later knighted and became Sir Forrester Obeysekera. The incumbent Speaker however was defeated in the March 1936 State council elections by the firebrand Philip Gunawardena who was renowned later as the “Father of Marxism” in Ceylon/Sri Lanka. The new state council elected in March 1936 saw Waithilingam Duraiswamy representing Kayts in the north become speaker. Subsequently he too was knighted and became Sir Waithilingam Duraiswamy. Duraiswamy’s election as speaker had an ulterior purpose. It was in 1936 that D.S. Senanayake and Sir Baron Jayatilleke mathematically manipulated the executive committee election system through a permutation – combination formula and got a board of ministers comprising only Sinhalese elected. 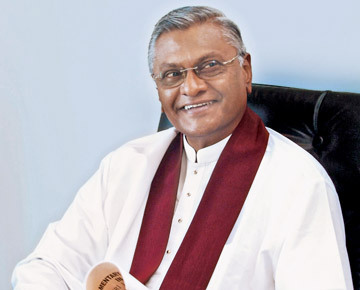 Since Duraiswamy’s stature entitled him to a ministry appointing him speaker was the only way to keep him out of the seven member “Pan – Sinhala” board of ministers. Sir Waithilingam Duraiswamy served as speaker of the second state council throughout its duration from March 1936 to July 1947. He served as speaker for a record number of eleven years as the duration of the State Council was extended due to World War II. He is the only Tamil to have served as speaker before or after independence. Ceylon gained Dominion status in 1947 and elections were held for the first time to the House of Representatives or Parliament. Sir A.F. Molamure who re- entered the state council in 1943 through Balangoda won the same electorate contesting on the UNP ticket in the 1947 elections.Interestingly EW Mathew also contested and lost Balangoda on the UNP ticket at the same time. While the UNP proposed Sir Francis Molamure as Speaker the opposition consisting of Leftists, Independents and MP”s from the Tamil Congress and Ceylon Indian Congress nominated the Independent member from Kurunegala H. Sri Nissanka for the post of speaker.Molamure beat Sri Nissanka by 58 votes to 41 and became the first speaker of Independent Ceylon. Unfortunately Sir Francis Molamure died in January 1951. The deputy speaker Albert Peiris representing Nattandiya succeeded him as Speaker. Subsequently he too was knighted and became Sir Albert Peiris. Ceylon’s first prime minister DS Senanayake died in March 1952 and his son Dudley became premier. Dudley Senanayake dissolved Parliament in April and went to the polls the same year. There has been a tradition in the UK of an an incumbent Speaker being uncontested in a parliamentary election. Newly independent Ceylon tried to emulate Britain in this practice in 1952. When Albert Peiris contested again in Nattandiya no registered political party fielded a candidate against him. However an Independent candidate W. I. Hugh Fernando not only challenged Albert Peiris but also gave him a huge fright. Albert Peiris squeaked to victory over Hugh Fernando with a meagre majority of only 306 votes in a straight fight. Sir Albert Peiris was elected speaker again and the UNP Member of Puttalam Hameed Hussain Sheikh Ismail became the deputy speaker. When elections were held again in 1956 Sir Albert Peiris contested again on the UNP ticket from Nattandiya.All political parties refrained from pitting candidates against him.Hugh Fernando however contested again as an Independent and defeated Albert Peiris by 3097 votes. The deputy speaker HSS Ismail had contested as an Independent candidate in Puttalam and won. The new premier SWRD Bandaranaike opted to have Ismail as Speaker. Thus the country got its first Muslim speaker.Ismail served from March 1956 to December 1959. He did not contest the elections in 1960. The March 1960 elections saw the UNP get 50 and SLFP 46 in a Parliament of 151 elected and 6 appointed MP’s.Dudley Senanayake formed a minority govt in a hung parliament.The first trial of strength was the speaker election. 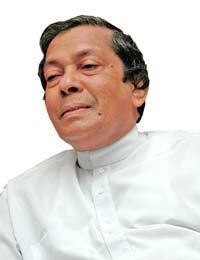 The UNP proposed Nattandiya MP Sir Albert Peiris for speaker. The opposition nominated T.B.Subasinghe the left leaning Independent MP from Katugampola for speaker.Sir Albert got only 60 votes while Subasinghe obtained 93. TB Subasinghe became speaker. When the new Government’s throne speech was presented it was defeated by 85 votes to 61. Parliament was dissolved and fresh elections were held in July 1960. TB Subasinghe contested again as incumbent speaker after being in office for the shortest period of only four weeks. All political parties followed the British tradition again and did not field a candidate against Subasinghe who contested as an Independent. However the SLFP candidate at the March 1960 polls Leelananda Weerasinghe defied party diktat and contested in Katugampola as an independent in July 1960.He defeated Subasinghe by 707 votes. The SLFP formed the Govt in July 1960 and Mrs. Sirima Bandaranaike became the world’s first woman Prime minister. Kandyan stalwart and Nawalapitiya MP Pelpola became speaker.R.S. Pelpola resigned as speaker in 1964 and was appointed minister of Posts and Telecommunications in Mrs.Bandaranaike’s cabinet.He was succeeded by deputy speaker Hugh Fernando who was now representing Wennappuwa in Parliament. The liberal Hugh Fernando who crossed over later to the UNP aroused the ire of the Bandaranaike government during the last days of that coalition government.An issue arose when the speaker had to rule whether the sponsorship of a particular bill sent down to parliament from the senate was procedurally correct. After adjourning House on account of its unruliness Hugh Fernando re- convened parliament and ruled that it was correct. Mrs. Bandaranaike’s government was irritated and proceeded to move a resolution that the speaker’s ruling was wrong. Dr. N.M. Perera then finance minister, even threatened Hugh Fernando with a potential no confidence motion. Ministers Michael Siriwardene and D.S. Goonesekera invaded the speaker’s chambers and tried to intimidate Fernando. 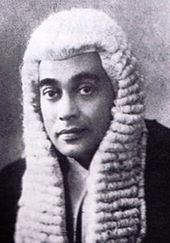 When Opposition Leader Dudley Senanayake raised a point of order the speaker ruled from his chair that a speaker’s decision cannot be questioned.Later Hugh Fernando was to say that this crisis period made him subject to the severest strain in his life. Hugh Fernando later crossed over to the UNP and contested the Nattandiya by election after Albert Peiris died. Fernando won and became a minister in a UNP Govt. The UNP formed a seven party national govt in 1965 and Dudley Senanayake became Prime minister for the fourth time. Sir Albert F. Peiris was elected Speaker but could not complete the entire duration of his term. He died in September 1967 and Deputy Speaker and Chilaw MP Shirley Corea succeeded him as speaker .Tamil Congress MP for Uduppiddy Murugesu Sivasithamparam became Deputy Speaker.Sivasithamparam spoke all three languages. Once when T.B.M.Herath was behaving in an unruly manner, Sivasithamparam pacified the Walapane MP and made him sit down meekly by appealing to him in chaste Sinhala. The 1970 United Front(UF) government saw Stanley Tillekaratne representing Kotte become speaker. It was rather ironic because Stanley though in the SLFP then had earlier been a Communist Party MP with a reputation for persistent heckling in Parliament. Now he had to maintain decorum in the House. Stanley Tillekaratne too was subjected to government bullying in 1973 when Dr. Colvin R De. Silva warned him publicly during the press takeover issue that parliament could remove him for “some reason, any reason or no reason at all.” Stanley too remained firm and gave his independent ruling on the matter. Stanley Tillekeratne also achieved special kudos as being the only one to chair a Constituent Assembly. The UF govt converted Parliament into a Constituent assembly in order to draft the Republican constitution.As Speaker of the Parliament , Tillekaratne also headed the Assembly to draft a new constitution. 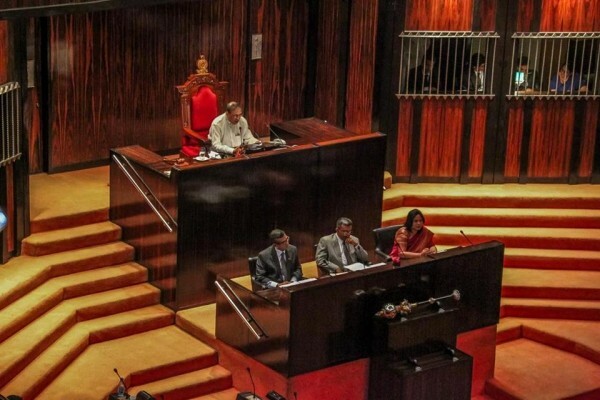 Following the adoption of the new constitution of the Socialist Republic of Sri Lanka, the legislature was re-named National State Assembly.Stanley Tillekaratne became Speaker of the First National State Assembly (NSA) in May 1972 and remained so till fresh elections in July 1977 . The UNP led by Junius Richard Jayewardena swept the polls in July 1977 winning 141 of 168 seats in Parliament.Once again the MP for Kotte was elected speaker. Only this time it was not Stanley Tillekaratne but Anandatissa de Alwis of the UNP. This was another first time achievement as Anandatissa de Alwis had never been elected to the legislature before. Earlier in 1965, he had become the first non-civil servant to be permanent secretary of a ministry under then minister of State J.R. Jayewardene. Anandatissa de Alwis served as speaker of the then National State Assembly(NSA) until September 1978 when the new Constitution of Democratic Socialist Republic of Sri Lanka came into force. This saw the NSA revert back to Parliamentary status.Anandatissa de Alwis remained as speaker of the new Parliament for a week and then resigned to become Minister of State in the JR Jayewardena. The minister of State portfolio was a full fledged cabinet minister post and is not to be confused with the State minister posts currently in vogue.Thus Kotte MP Anandatissa de Alwis like his predecessor Stanley Tillekaratne became one of two who functioned as Speakers of both the National State Assembly as well as Parliament. Being a former Journalist himself, Anandatissa Alwis was the darling of the media but it was during his period as speaker that the Parliamentary Powers and Privileges Act was given new teeth. To demonstrate the power of the law, two senior editors of Lake House were summoned to the House over a mix up of a photo caption allegedly affecting then Foreign Minister A.C.S. Hameed. They were grilled exhaustively by Govt parliamentarians and fined. With Anandatissa de Alwis becoming a cabinet minister he was succeeded as speaker by Beruwela MP Bakeer Markar in September 1978. It was during Bakeer’s tenure that the no confidence motion against opposition leader of the time, Appapillai Amirthalingam was moved by government MPs in 1981. Such a development was unheard of in parliamentary history. Govt MP’s don’t bring votes of no confidence against the leader of the opposition. Not only did Bakeer allow the motion but also failed to restrain the “criminal” remarks made by MP’s against an absent Amirthalingam during the one – sided debate. The lone communist MP Sarath Muttetuwegama walked out of Parliament after criticising Bakeer Markar for letting Govt backbenchers run Parliament instead of asserting order in the house as speaker. Bakeer Markar also failed to check the vituperatively racist outpourings of Cyril Mathew in Parliament on more than one occasion. In spite of appeasing hawkish elements in Govt ranks and disgracing the office of Speaker in the process, Bakeer Markar was unable to continue as Speaker for his full term. After the anti-Tamil pogrom of July 1983 , sections of the Buddhist clergy exerted pressure on J.R. that a Sinhala Buddhist, E.L. Senanayake of Kandy should replace Bakeer Markar the Muslim Speaker. This was acceded to and the old trooper E.L. served as speaker from 1983 to 1988. Bakeer was made cabinet minister. The 1989 to 1994 parliament saw veteran Muslim leader from Colombo,M. Haniffa Mohamed function as speaker. MH Mohamed’s crisis hour came during the impeachment motion moves against Ranasinghe Premadasa by the trio comprising Lalith Athulathmudali, Gamini Dissanayake and G.M. Premachandra. After being initially favourable to the rebels Mohamed changed track swiftly and switched loyalties in favour of President Premadasa. A fresh breeze blew in the musty corridors of power in 1994 when the 17 year long UNP rule was terminated in 1994 by a Peoples Alliance (PA) Govt led by Chandrika Bandaranaike Kumaratunga. In 1994 it was the turn of Rajarata’s K.B. Ratnayake to be speaker. The former Anuradhapura MP was an old student of Hartley College, Point Pedro and spoke Tamil well. K.B. was perhaps the first Sinhala speaker to speak all three languages fluently in the House. The Muslim speakers too were trilingual. The new millennium in 2000 witnessed what was then the rare spectacle of both government and opposition electing a consensus candidate as speaker. That singular honour went to Chandrika Kumaratunga’s brother and Ranil Wickremesinghe’s old school chum Anura Bandaranaike. The PA govt had won the elections with a slender majority.Though Anura was then in the UNP and therefore the opposition, Chandrika and Ranil agreed to make Anura the speaker, much against the wishes of party stalwarts on both sides. A crisis arose when Kumaratunga prorogued parliament after she lost her majority. Efforts were on to impeach her and the then Chief Justice Sarath Silva. Speaker Anura Bandaranaike was somewhat hesitant in asserting the rights of parliament. Later Anura crossed over to the PA after parliament was dissolved. December 2001 elections saw saw the UNP led UNF win.Ranil Wickremesinghe became Premier while Chandrika Kumaratunga remained executive President. Former Ja Ela and present Gampaha District MP, Joseph Michael Perera was elected speaker. Political cohabitation came to an end in 2004 and Parliament was dissolved by the President. Elections were held and the SLFP led United Peoples Freedom Alliance(UPFA) came to power. D.E.W. Gunasekera’s name was proposed as Speaker by the UPFA. However, the Opposition nominated Badulla district MP W.J.M. Lokubandara instead of incumbent speaker Joseph Michael Perera. Though Perera could have been fielded as speaker candidate, a change was necessitated due to political exigencies. Joseph Michael Perera Perera was a Catholic. Given the rising tide of anti-Christian feeling among sections of the Buddhist clergy and laity prevailing at the time a man like Lokubandara with impeccable Sinhala Buddhist credentials was seen as more suitable. The phenomenon of nine Buddhist priest MPs of the Jathika Hela Urumaya (JHU) holding the power balance in a hung parliament saw the need for an avowed nationalist like Lokubandara as opposition candidate for speaker. It was hoped thar Lokubandara could win Jathika Hela Urumaya support or at least ensure their neutrality. The election results indicated that the stratagem succeeded to a great extent. W. J. M. Lokubandara became Speaker after a bitter and closely contested election. He won with one vote (110-109) in a tussle that went down as as a shameful episode in the parliamentary history of this country. In a fracas occurring while Parliament was in session a Buddhist monk MP was manhandled by a group of MP’s. So disgraceful was the conduct of several legislators that an English newspaper observed in its editorial that all the waters of Diyawanna Oya could not wash the black mark off. The last Parliament saw Hambantota district MP Chamal Rajapaksa become Speaker. It was a time when the Rajapaksas of Ruhunu were riding high with Chamal’s younger brothers Mahinda , Basil and Gotabhaya being President, Cabinet minister and Defence secretary respectively. It was during Chamal Rajapaksa’s tenure as speaker that Parliament impeached Chief Justice Shiranee Bandaranayake.Chamal Rajapaksa completed his full term as Speaker from April 2010 to June 2015. Now the mantle has fallen upon the sturdy shoulders of Karu Jayasuriya who is the latest in an illustrious line of Speakers presiding over the legislatures of Sri Lanka.He has been elected unanimously.It could be truly said that Karu Jayasuriya has a mandate from all the communities and all shades of political opinion in being elected unopposed as Speaker. He has to hold the scales evenly and above all restore the dignity and respect of the speaker’s office . Given the difficult political climate prevailing in the country, the Speaker will be called upon to discharge his duties efficiently, courageously and impartially in the future. Karu Jayasuriya will have to face fierce challenges in carrying out his duties independently . There is no doubt that this Sri Lankan patriot Karu Jayasuriya will overcome those challenges effectively. May the poster slogan “Aawoth Karu –Paayai Hiru’ ( If Karu comes, the sun will shine) ring true in the days to come !